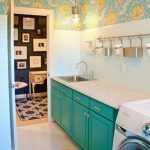 A few months back we bought a new washer and dryer set and I’ve been antsy ever since to give our very sad laundry room a makeover! 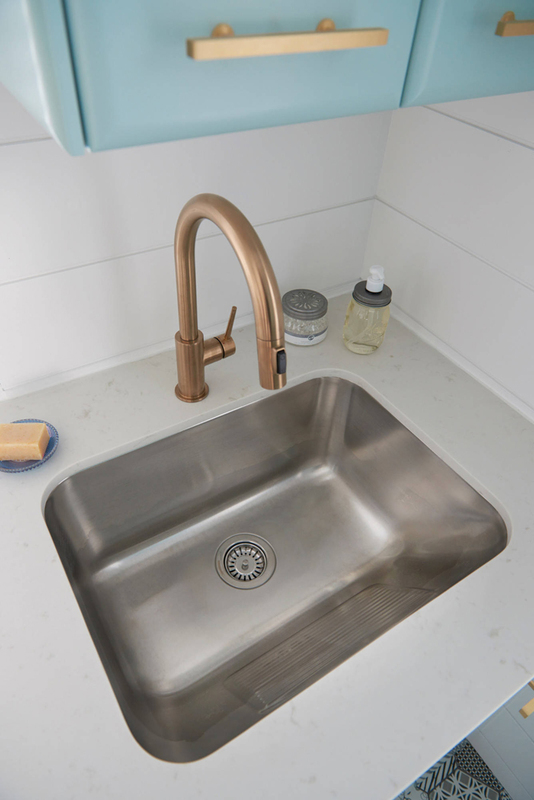 Wouldn’t this space designed by Cynthia Soda of Toronto-based Soda Pop Design Inc. be perfect?! 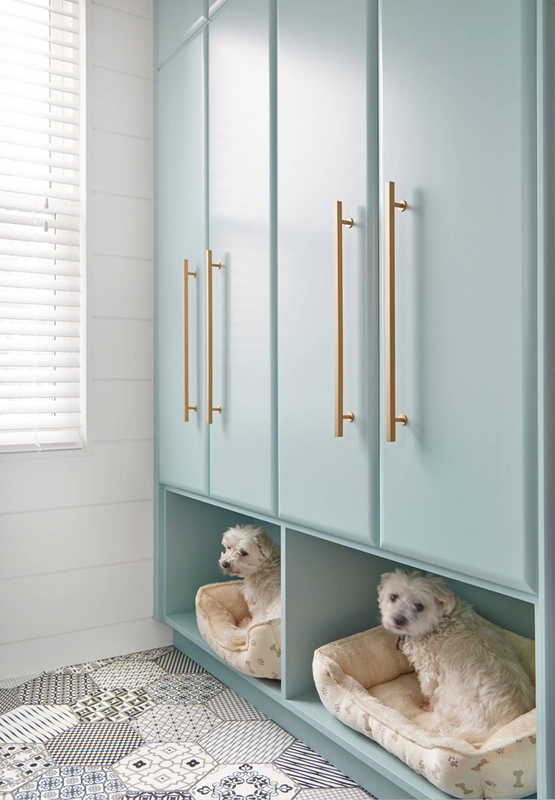 I mean, there’s even a spot for my dog! 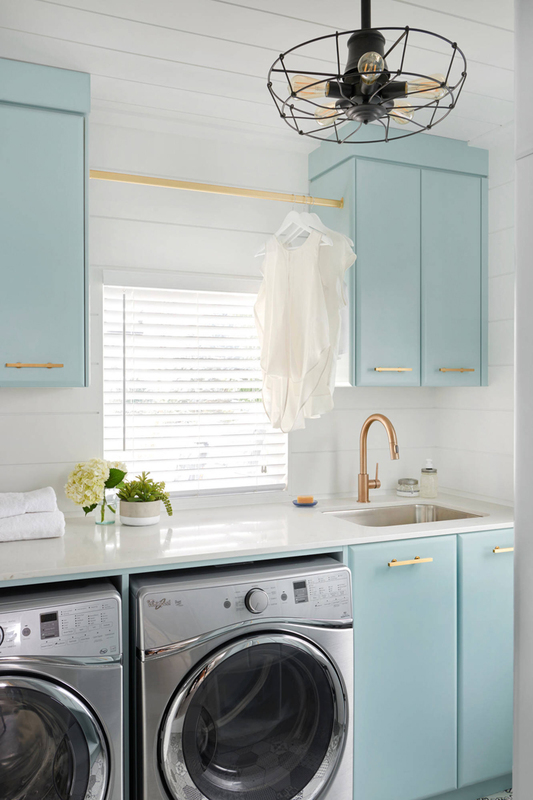 Captured by photographer Stephani Buchman, the light and bright laundry room is so well-thought-out (with custom millwork housing necessities like cleaning supplies and an ironing board!) but absolutely beautiful too. 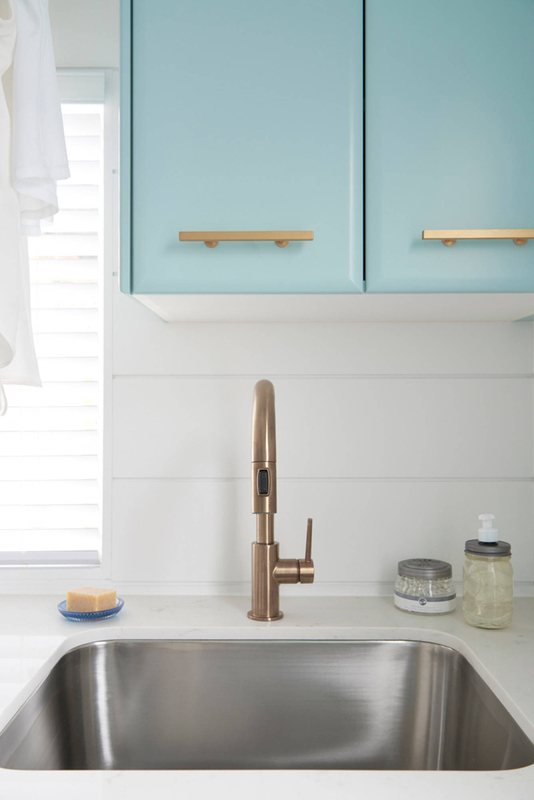 The pretty blue cabinets, shiplap, patterned floor tile, gold hardware…it’s all fabulous! 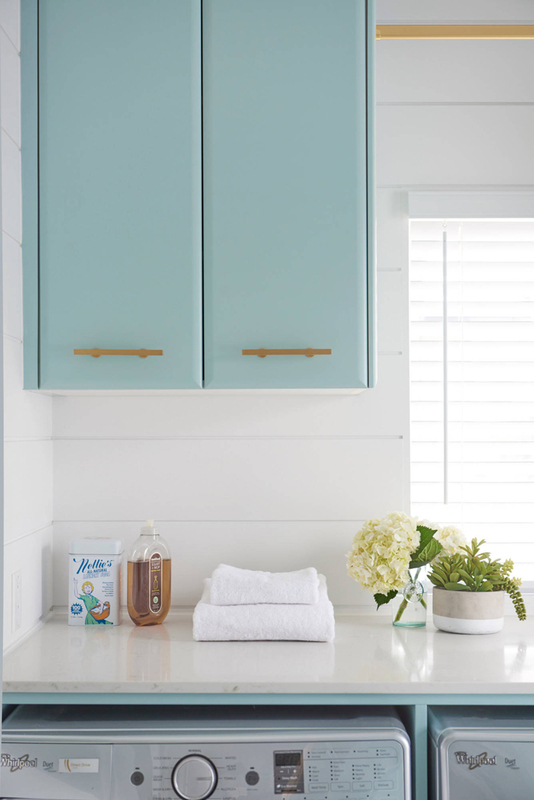 See more of the space and learn the designer’s tips on creating your own dream laundry room over at House & Home! Oh my goodness. 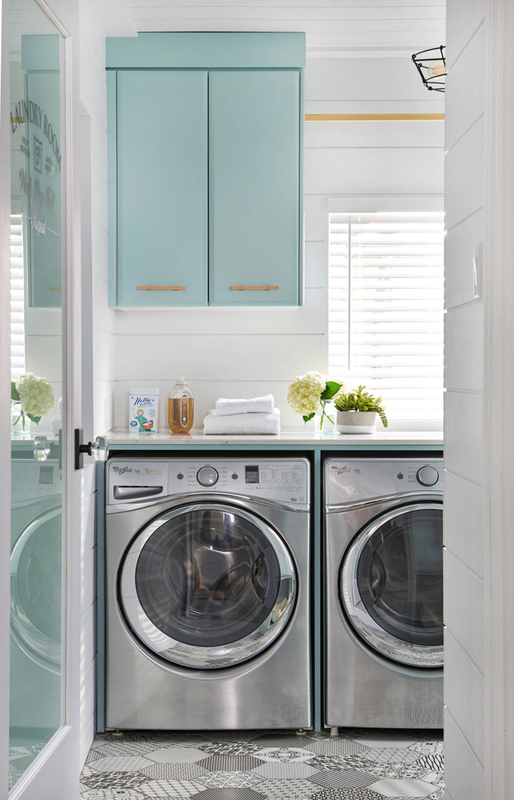 I’d actually do my laundry more often if I had a space like that. 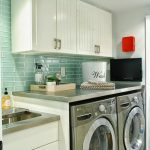 Mine was a very low rent version of this: a combo craft room and laundry. 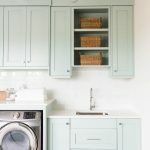 I recycled our former kitchen cabinets (painted them a rich blue), covered all the basement walls with white pegboard so I had tons of storage. It made me smile everytime I had to do laundry or work on crafts or wrap presents. I’ve since moved into a senior living apartment and while I enjoy it, I miss my long counters for folding laundry. 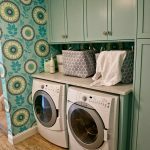 I hope you share the before and after of your laundry room remodel. 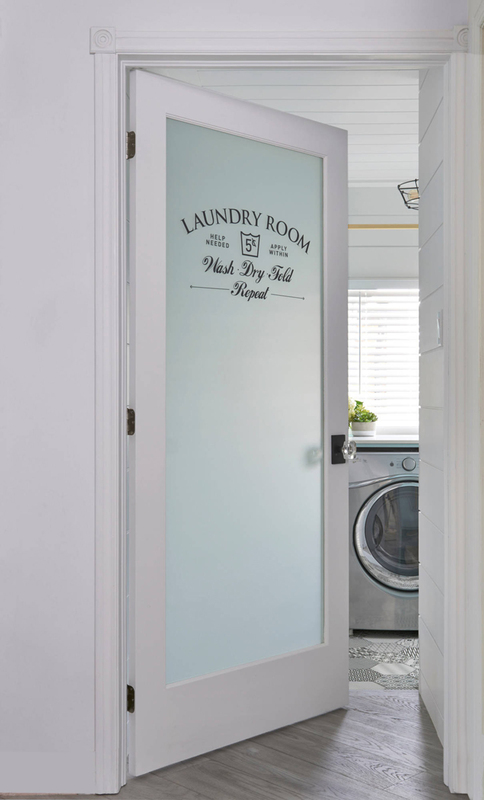 Love the laundry door and ceiling light fixture. 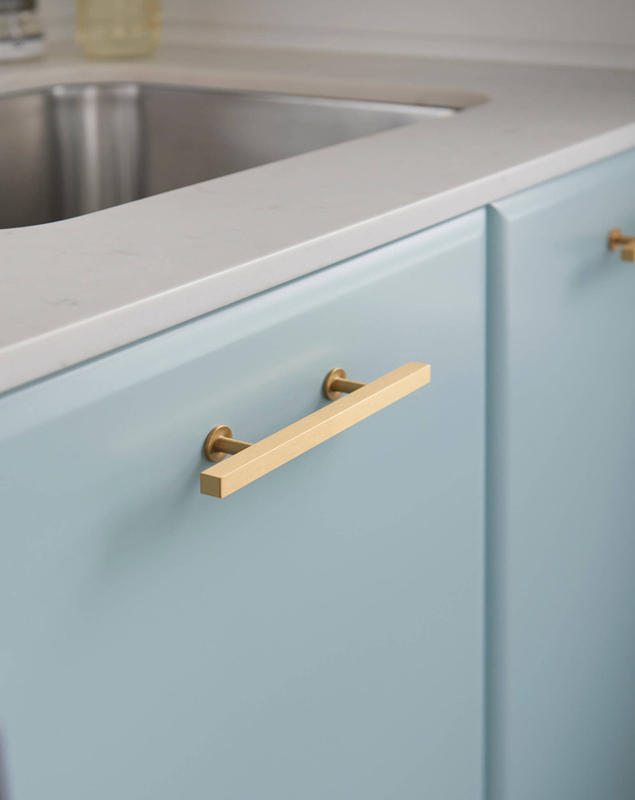 Can you tell me if the door was a DIY project and the source for the light fixture. Thanks! Oh my gosh, just perfect! 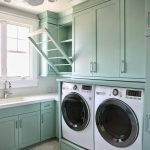 I just started some renovations in my house and have no ideas what to do with my laundry room but now I know. Thank you.